WELCOME HOME SINCE 1992 - Originally, with roots anchored in Springfield, Missouri and operating in the Southwest Missouri region, Amos Building Company’s primary focus was on erecting dozens of quality built homes primarily in the Springfield, Ozark and Nixa areas. Over time we expanded our operations to include remodeling, renovations, room additions, decks, etc. Today, we are still family operated. We focus providing you the area’s best materials, unmatched workmanship, added value services, and finished products - regardless of how small or large. As our name is also our brand, we have an elevated sense that our reputation is the foundation of our success. We want your business and your referrals, and we will work to prove it. Very simply, we feel your satisfaction is paramount! ABOUT US Cole Amos - I am a graduate of Missouri State University with a degree in Construction Management. After graduation, I started work in the commercial construction industry where I worked as an assistant superintendent, safety manager, superintendent and lead estimator. I learned invaluable skills in every facet of construction in which I worked. A few of the high visibility projects I was fortunate to be a part of include, the O’Reilly Automotive National Headquarters building, a Tamko Roofing manufacturing plant, a Super Target Store, several schools, hotels and many more. I grew up in the industry and I spent much of my time working on Amos Building Company’s construction job sites. I am equally skilled in both residential and commercial construction and I have deep-rooted morals in honesty and integrity, as well as having a strong work ethic. Rick Amos – I have over 30 years of experiences in the construction industry in one realm or another including home building, renovations, demolitions, room additions, construction management, wholesale and retail building materials distribution management, construction insurance and claims handling, post-frame construction, etc. Amos Building Company - As the founder of Amos Building Company I can assure you we have the expertise and the passion to complete your project to your satisfaction or beyond. Our new website is currently pending construction but you can find us on Facebook, or give us a call or send us a message and we will work hard to earn your business, 417-844-0495 or 417-844-1598! With over 20 years of experience, Christopher Kyslowsky- owner of NECC LLC, is a leader in the Home Remodeling industry. 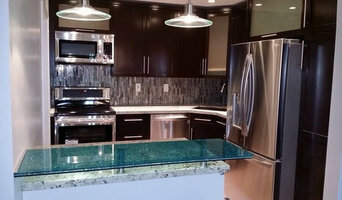 Specializing in kitchen & bath remodeling, NECC's team also provides custom woodworking. From custom furniture and cabinetry to doors, gates, porches and outdoor living spaces, no project is too small. We work directly with homeowners to ensure that our client's style is matched by unparalleled service. Contact us today for a free estimate! 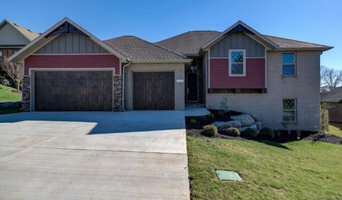 Porter Construction is a Licensed Residential & Commercial Contractors and have been doing construction for over 36 years in Northwest Arkansas. We do remodels, renovations, additions, door and window installations, and much more. We also have an on staff Interior Designer! Among full home construction documents we offer green building construction, design build services, concrete construction, and site work or trenching services. Plus much much more. We have an onsite model home that you may tour to see if our services would be right for you! Schedule an appointment today for a free estimate. Quality that is above and beyond professional grade. Work done is a signature of the name and the name sets a higher standard for the industry. That shall not be tainted. Better bath of nwa inc.
We offer high quality products at affordable prices. Compare our product to our competitors. We offer most home repairs, But specialize in Tile work, Floors and walls, and PLumbing Repairs. Sonrise Remodeling specializes in residential remodels, additions and repairs. No matter the size, we can help you build your dreams. 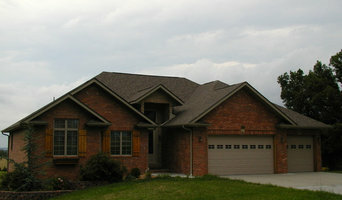 Superior Exteriors & Remodeling is defined by our quality service and superior products. Our mission is to help property owners improve their major investment by providing professional installation of quality materials, supported by a reputation for honesty and integrity. Our goals are to assist customers in making informed decisions and to consistently satisfyour customers. Building for you as we would for ourselves. Family owned, Since 1986. 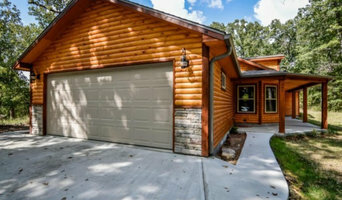 Founded in 1998, Underwood Construction started as a small family owned business providing construction services to all residents in Branson MO. Now, after 15 years of hard work and devotion we sometimes look back to realize how much we’ve evolved. We’ve a great team of technicians who provide the most reliable construction service in the area. Professional remodeling designsOur mission. We strive to meet every clients expectations, no matter how rigorous they might be. We’ve worked on many projects that required more than knowledge and experience, they involved hard work, thorough planning and devotion – but we’ve successfully completed them. With us, satisfaction is guaranteed. I started John Moody Construction with my wife Linda and myself in September of 1983. Working out of our home for a number of years, we worked nights, week-ends, and holidays to be able to grow. In or about 1990 we moved into our first office, we have since moved to a permanent location and are proud to have 6 full time employee's. I look forward to helping you fulfill your dreams. Call me today for all your remodeling needs. Whether you don't have the time, skills, tools, or you just don't want to "Do It Yourself"; Call for all of your Handyman, Home Repair, & Improvement Projects.